Radio broadcasting is an ever-evolving medium. It's no longer just about being a "DJ". It's about being a versatile contributor within a group of radio stations. Radio stations are pushing web and social media content to engage with listeners along with the traditional aspects of radio. We provide you with the fundamentals of news reporting, radio performance, programming and operations. You will have the opportunity to take webmedia, marketing and social media courses as electives to add more industry-preferred skills to make you even more marketable to eployers. At NESCom our focus is giving you the tools needed to build your knowledge and develop your skills. WHSN 89.3 FM, Bangor's alternative rock station, provides students a platform craft their skills while creating award-winning programming. You will be responsible for all operations forom on-air shifts and programming to promotions and public affairs. 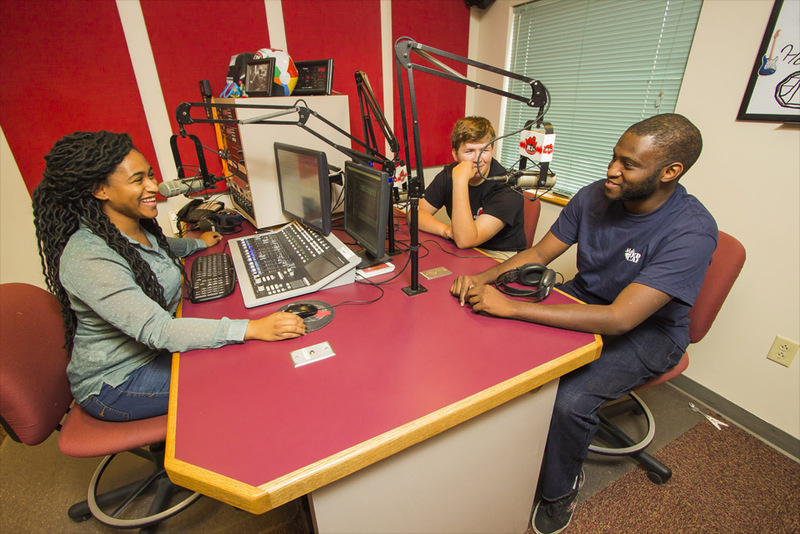 The radio station, which broadcasts 24 hours at 89.3 and online at whsn-fm .com, provides our students with real world experience like no other.